Our office will be closed from lunchtime on Monday 24th December 2018 and opens again Thursday 3rd January 2019. We hope you have a lovely Christmas holiday and wish you all the best for a successful New Year. We are pleased to welcome our new Part 1 Architectural Assistant, Gaynor, to the team. She is looking to gain valuable experience on her year out of university and we look forward to her working along side us on a variety of projects. We are pleased to share the photographs of our recently completed contemporary house for our clients in Campsie Glen. The linear plan with full height glazing to principal spaces allows our clients to enjoy the breathtaking scenery of the surrounding rural landscape. 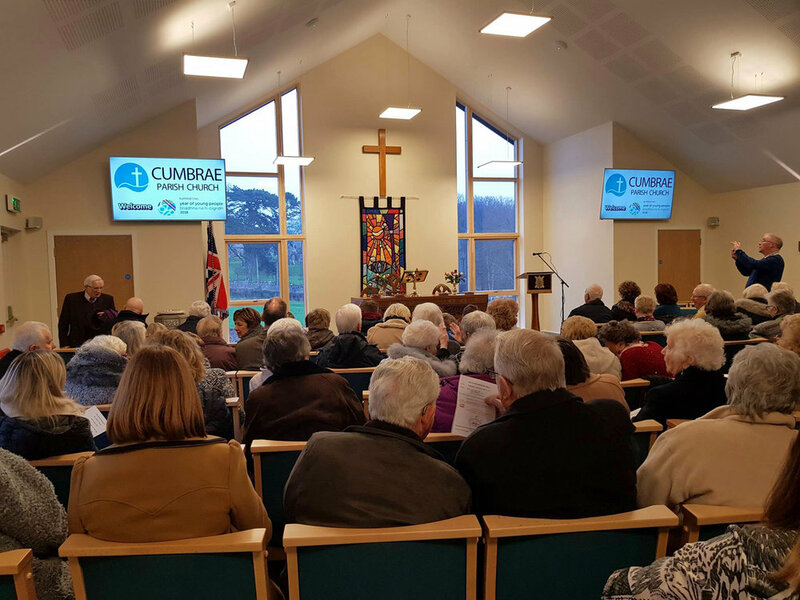 The project has once again been featured in the Largs & Millport Weekly News where it has been reported that Cumbrae Parish Church's focus group has reviewed the tender prices and appointed Linea Construction as the contractor. It has also been reported that due to the new church being situated alongside Cumbrae Primary, it is expected that the construction process will play a role in educating the primary pupils on the construction process. We will be visiting the school in the hopes of inspiring future architects and teaching them about the construction process from an architects point of view. We look forward to working alongside Linea Construction to deliver the new church that the Church of Scotland has shown a strong interest in due to their growing congregation size in a time where congregation numbers are declining. To read about the latest updates on the project in the Largs & Millport Weekly News, click here. 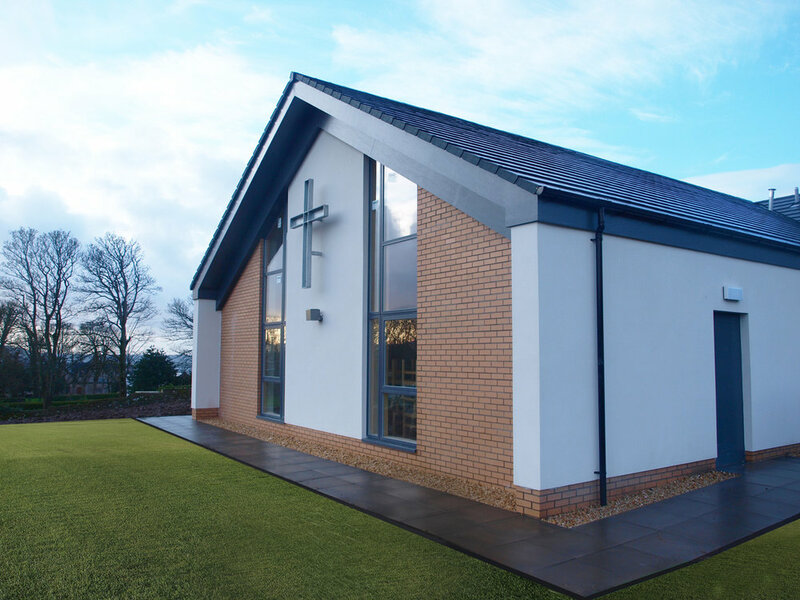 We are proud to announce that in April of 2017 the new build extension to Milton of Campsie Parish Church (Church of Scotland) was completed. McLean Architects worked with the trustees of Milton of Campsie Parish Church to complete the extension to their existing church hall. The extension provides a multi-purpose space for worship with seating capacity for 300 people, provision for games and sports, meeting rooms and a cafe. The steel framed, single storey extension is primarily timber clad with masonry cladding used for the small room accommodation and an aluminium standing seam roof. Using hybrid window units, which encloses the existing canopy structure, a linking corridor has been created. The church is zero carbon rated thanks to the newly installed air source heat pump which has reduced the churches carbon footprint, energy costs and helped the church received a triple A insulation rating. The churches completion and zero carbon rating has also recently been mentioned in the Project Scotland construction news magazine. To read more about the church in the magazine, click here. We are proud to share with you a recent article on Dumfries Baptist Church, written in the print publication of the Dumfries & Galloway Standard newspaper. A church for the 21st century is set to open on schedule in Dumfries. The 2,000 square meter community facility being built on the edge of Georgetown comes with a £4.7 million price tag and will be a new home for the baptist congregation which has met at Newall Terrace since 1873. In recent years, the sandstone building there had become too small as church membership grew, so morning services had usually been held in Dumfries High. Members were on the lookout for the right site for a new church and Reverend Alistair Purss said they owed a debt of gratitude to the late Ken Asher who found out the land at Gillbrae was for sale in 2012. The new church has a main hall, seating nigh on 500, which will be available to hire for weddings concerts and other events. The community resource also boasts a cafe, sports hall, youth facilities, kitchen, toilets and changing facilities. Rev Purss added: "Moving house is said to be one of the most stressful things we do; but moving church is even more challenging. "We plan to flit in stages, during March and April, staring with Sunday services and out own clubs. The Cornerstone Cafe will also open gradually. Anyone wanting to book a room, either for single or regular use, is welcome to do so now. Some clubs are already choosing rooms which will be available for the wider community to use from mid-April."